Our local trail is known as ‘Tibbet’s Ride’. 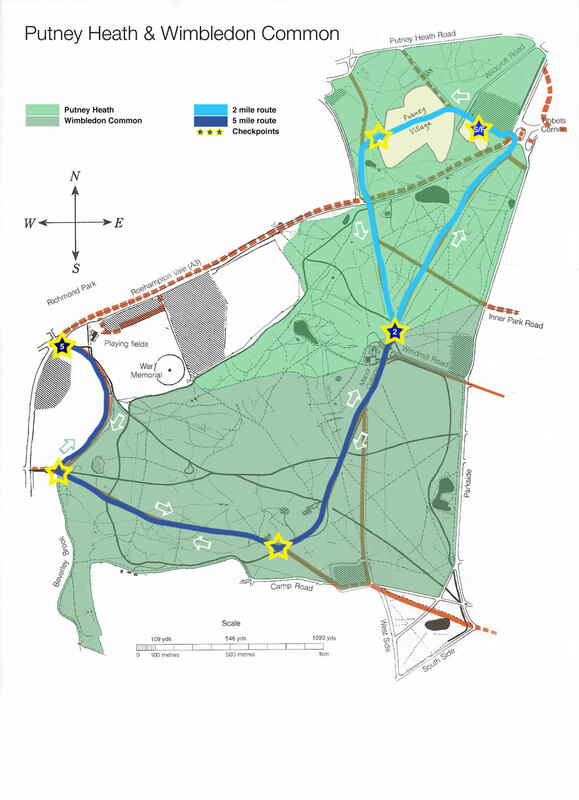 It was named after the final stretch of the route on the edge of Putney Heath. The full distance is fourteen miles, whilst turning back at Robin Hood Gate reduces it to a respectable six miles & it’s just two-miles if you turn back from the Windmill. The goal is to get as many local riders out regularly, regardless of age, skill or ability. If you don’t wish to sprint, go for the six mile option & you’ll find that your riding time is similar to faster riders completing the full distance. Note: It’s 3.25 miles to Robin Hood Gate, so if your bike/legs break down then you can always walk/ride back up 1.5 miles of pavement along the A3. It’s a bit tricker once inside Richmond Park, although Roehampton Gate’s a better bet if you’re anywhere near the halfway point. Click on the link above to see a bird’s eye view of Tibbet’s Ride in 3D, courtesy of MapMyRIDE.Com. Follow this link for a detailed introduction to significant points along the route, including shortcuts & things to look out for along the way. • 14-milers return through Robin Hood Gate, proceeding North-east up the Ladies Mile from the Windmill & back to the pub. • On-form riders will overtake 5-milers somewhere along the Ladies Mile. The yellow stars on the maps below are suggested regrouping points. These are the official published routes, as of June 2011. If you are in any doubt whether you’re on the right track or not, just keep a look out for signage. If you don’t pass a sign with a bike on it every couple of hundred meters or so, you may be off the trail!